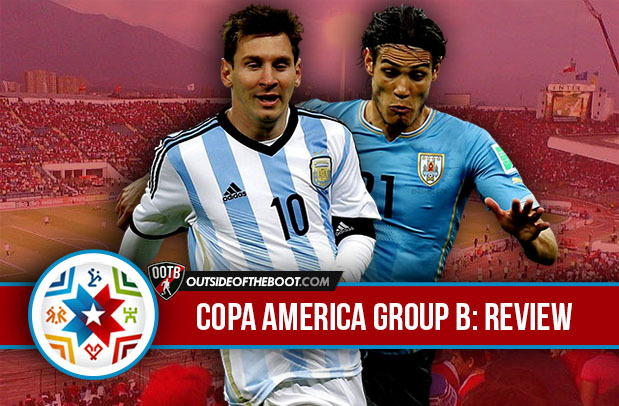 Group B featured one of the most intriguing clashes of the Copa America so far, with the defending champions taking on the favourites. It wasn’t all smooth sailing for these fancied sides though, with Paraguay giving Argentina a tough time, and Uruguay also struggling a bit against Jamaica. In the end though, 3 teams have made it, with some exciting and hard fought matches for all of us. Although Tata Martino has been hugely criticised for his tactics in recent years, both as manager of Barcelona and of Argentina, and although they haven’t been hugely impressive in this tournament, his tactics against Uruguay, in the most important clash of the group, won Argentina the game, and ensured that they would progress as group winners. Knowing that Uruguay would defend extremely deep and compact, Martino gave specific instructions to both of his wingers. Di Maria was given quite a free role, where he sometimes stayed wide to stretch the game, and would sometimes drift inside to create space for his Manchester United teammate, Marcos Rojo to overlap. Martino instructed Lionel Messi to drop deeper and drift narrower from his position on the right wing, where he could try to break through the Uruguayan defence with his excellent passing ability, which is often overlooked. At times, Messi and Di Maria both sat deeper and narrower, allowing the full backs and occasionally the central midfielder, Biglia, to push forward, resulting in Argentina having huge numbers going forward. Messi’s positioning also drew away markers, and therefore created more space for Pastore and Zabaleta to play in. The winning goal was created due to this tactical ploy, as Messi passed the ball to Pastore from a central position, who then executed an excellent turn and played the ball to the right flank, where Zabaleta, in acres of space, crossed the ball in for Aguero to finish. Due to Uruguay’s narrow shape in defence, many managers would have tried to keep their key players out wide, but Martino did the opposite, which penned Uruguay in, and created even more space for the full backs. The decision to allow Messi to player deeper and narrower was a crucial one, and ultimately resulted in the goal which secured Argentina’s progress to the last 8 of the competition. Although there were players who changed games with crucial goals in this group, such as Aguero with his winner against Uruguay and Barrios with his equaliser against Argentina, there was only one performance from a player that was pivotal in truly changing a game, at both ends of the pitch. 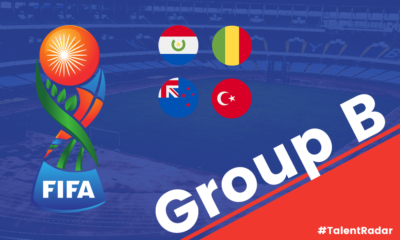 Uruguayan fans would have feared the worst going into their crucial final game against Paraguay, with their star defender Diego Godin suspended. However, Godin’s Atletico teammate, Jose Gimenez, rose to the occasion, almost single handedly earning his nation the point they needed to progress to the quarter finals. Not only did he have a huge impact in attack, heading in from a corner in the 29th minute to score what turned out to be the winner, but he also put in an excellent defensive performance, repelling many Paraguayan attacks with his physical strength and dominance in the air, as well as his composure with the ball at his feet. His strong defensive performance is shown by the fact that he won five aerial duels, made three clearances and also made three interceptions. Without Godin, Gimenez had to lead the Uruguayan defence at the age of 20, but did it expertly, showing composure and passion that resembled that of his Atletico teammate and compatriot, and was crucial in securing Uruguay’s progression. Uruguay have been hugely disappointing going forward in this tournament, with the likes of Cavani and Rolan failing to perform. However, they have been much more impressive defensively, and Jose Gimenez has been key to that. 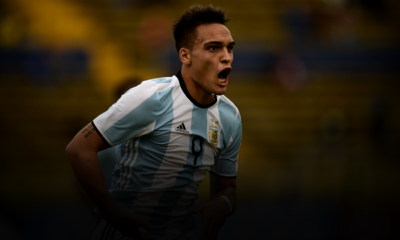 As well as his performance against Paraguay, Jose Gimenez was also very impressive in the other two group games. Against Argentina, he went up against some of the best attacking talents in the world, but held his own, winning six aerial duels and making two important tackles, conceding no fouls throughout, which is no mean feat considering he had the likes of Lionel Messi running at him. Although he did not have to do a huge amount to do against Jamaica, he did his job well when called upon. This Uruguay side is a very physical one, and not only can he hold his own in this department, but he is also technically skilled with the ball at his feet, perhaps more so than his defensive partner Godin. With Miranda leaving for Inter, the 20 year old’s performances alongside his teammate Godin in this tournament should help him secure the space in defence left by Miranda, and allow him to finally show his talent at club level consistently. 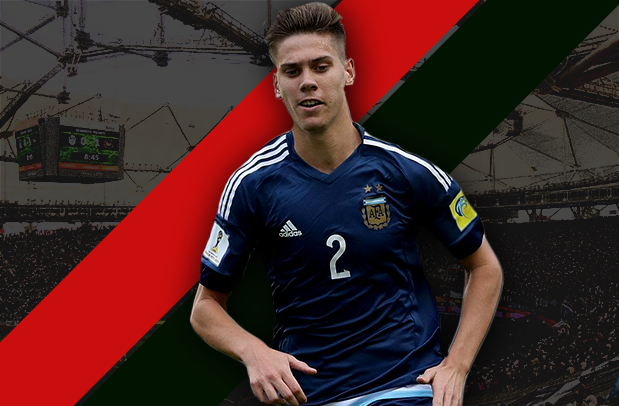 Before that however, him and his nation have a very difficult quarter final tie against hosts Chile, and Gimenez will need to keep up his excellent form if Uruguay are to make it through to the semi-finals, and stay in with a chance of retaining their title.